The "If You Ask Me..." student voice exhibit helps New Mexico educators and policy makers change the conversation and keep the needs of students at the center. Educators and policymakers spend a lot of time asking, "How can we better serve our students?" We hold convenings, we compile data, we collect surveys and evaluations. But how often do we ask the real experts: the students themselves? Based on our current education system, it's clear we haven't been listening deeply enough. That's why Future Focused Education and the Assessment for Learning Project created a touring student-voice exhibit. The "If You Ask Me..." gallery is an interactive, augmented reality experience that brings student interviews to life through any smartphone. It is the culmination of a 1,000-mile road trip, visiting eight districts across New Mexico and interviewing over 45 students. We asked students directly: "How do you learn best?" and "What would you change if you were in charge?" The student interviews surprised and delighted us. We heard from 3rd grader Ben Malden, who said, "School would be more fun if we played more math games" and 12th grader Lily Camunez, who said, "When all the students are really engaged, it's a room full of energy that wants to learn." Their responses troubled us, too. Twelfth grader Jacob Gutierrez said, "We learn for tests now instead of learning for knowledge." Eighth grader Akeyleah Riddle said, "In my 6th grade math class, my teacher had us do worksheets all day. I didn't want to go to that class ever." These students came from all over the state, from the most rural counties to urban centers, from charter and traditional schools alike. But the unifying thread was easy to find. Their voices were resounding and clear: standardized testing is stifling. "Sometimes I get really nervous even if I have studied my heart out the night before [the test]," said 10th grader Rocio Castaneda Garcia. "I feel like my self-esteem goes down." Glenna Voigt, a W.K. Kellogg fellow and New Mexico public education commissioner, conducted the interviews. "Students spoke keenly to the schoolwide anxieties triggered by standardized testing," she said. "I was moved to hear how much they yearn for creativity in the classroom." As New Mexico begins amending ESSA, revamping school grading, and increasing teacher salaries, we're making strides to change a very broken education system. But in order for change to truly take hold, we have to keep the needs of students at the center. 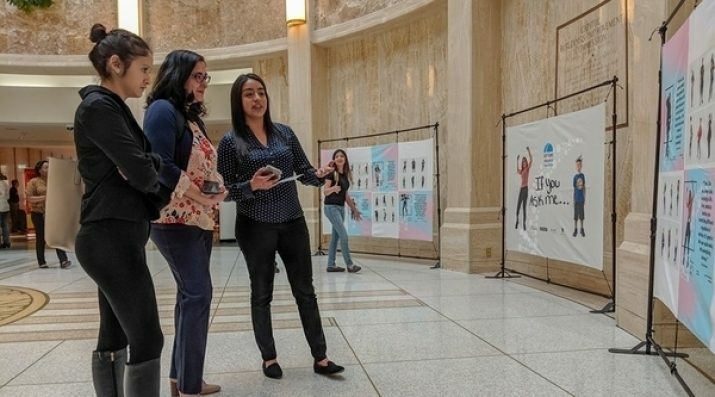 That's why we created the "If You Ask Me..." exhibit—to bring the students' voices into spaces like the New Mexico state Capitol and the state's public education department. As we travel with the gallery to convenings of superintendents, principals, and legislators, we see that focusing on student voice noticeably changes the conversation. Dr. Veronica Garcia, the superintendent of the Santa Fe public schools, told us, "When we see this exhibit, we're reminded how it felt to be students ourselves and of moments when we saw our students struggle. It really keeps us focused on what our students want and need." As educators and policymakers, many of us have spent a long time inside the system. Our vision can get clouded by standard practice and tradition. Asking the students directly brings us back to ground level. Their ideas are fresh, inventive, and earnest. They asked for more collaboration, hands-on projects, research, and presentations. Students described what it takes to get them thinking on their feet, learning deeper, and retaining knowledge. They spoke of feeling a new level of self-confidence from giving a presentation that they wouldn't have experienced from simply taking a standardized test. "I was struck by the thoughtfulness of their answers and the adamance in their voices," said Voigt. "They all spoke of a future for education that would be inclusive of student learning differences, not something forced upon them where they needed to fit or fail." Over the last decades, we've been missing out on these voices—voices with worthy opinions, ideas, and solutions. Thousands of students have been overlooked, thought of more as problems to be solved rather than assets to be nurtured. Our work at Future Focused is to remodel education so schools respond to and cultivate 21st-century students. As we forge ahead toward a more innovative, equitable, and personalized education system, we must continue to question who are the students we're serving and what really matters to them. How do we find out? We ask. Photo courtesy of Future Focused Education: The collection of interviews from students across New Mexico comes alive in augmented reality at the "If You Ask Me..." Gallery Tour stop at the New Mexico state Capitol. 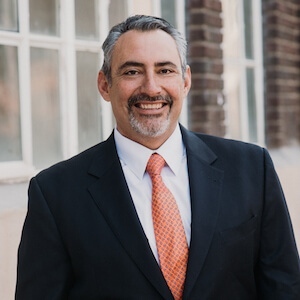 Tony Monfiletto is the executive director of Future Focused Education. Over the past 20 years, Tony has been actively involved in creating a policy climate that welcomes innovative solutions to our most challenging public school challenges. He has served on many legislative and executive committees and he is passionate about re-thinking the metrics of success for the next generation of schools that can prepare young people for an dynamic future.